Come and meet the beautiful Harris Hawk, Lady Macbeth at Cove Garden Nursery. She will be here along with her owner Nigel every Thursday in August 12 till 3. 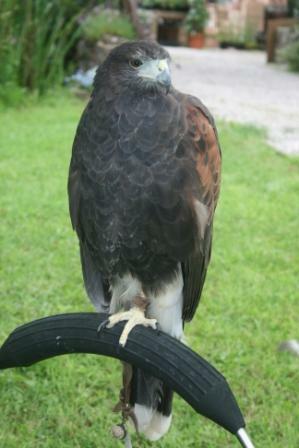 Nigel also does special Hawk Walks on Exmoor where you can take her out and experience falconry first hand. Find out more at www.northdevonhawkwalks.co.uk or come and see her! The tea tent will be open so you can have a cuppa too!